Peterbilt unveiled its new UltraLoft sleeper in its flagship Model 579 truck in hopes of attracting more customers with its roomier cab design and improved fuel saving aerodynamics. 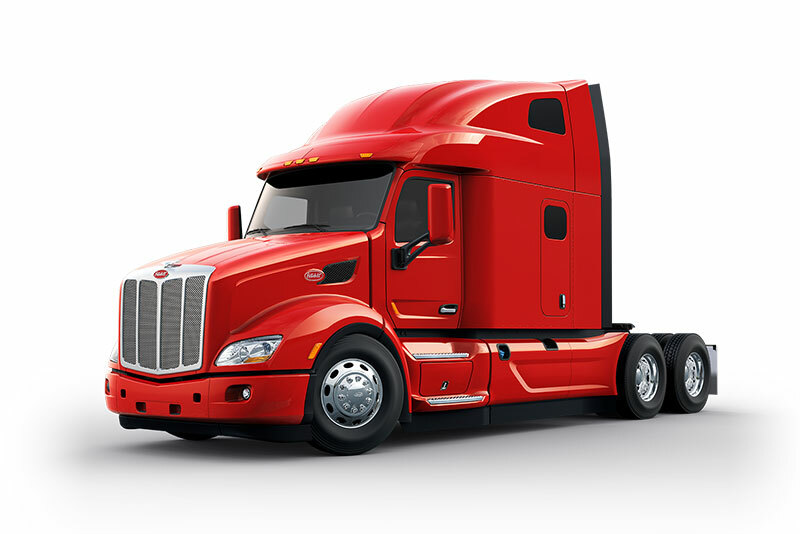 “In the fleet world, it’s all about aerodynamics, fuel efficiency and being able to draw drivers to their fleets,” Kyle Quinn, general manager of Peterbilt, told Trucks.com. The company unveiled the new sleeper design in Scottsdale, Ariz., on Thursday. The new aerodynamic design will improve fuel efficiency by 2 percent over comparable Model 579 trucks. Approximately 400 truck drivers had a hand in the design of the new UltraLoft sleeper, providing feedback to Peterbilt engineers during the nearly three-year development phase, the company said. The UltraLoft sleepers are available in single or double-bunk designs. Paccar is reacting to the introduction of new, fuel-efficient long-haul trucks from rivals including Freightliner, Navistar, Mack and Volvo. Production of the new truck is expected to start in July. The 80-inch 579 UltraLoft sleeper trucks will be built at Peterbilt’s Denton, Texas, plant. “We added headroom, storage and improved the overall space to maximize the driver’s experience,” said Scott Newhouse, chief engineer of Peterbilt Motors Co. The bunks – 85 inches long on the lower one and 82 inches on the upper bunk – are the largest on the market, according to Peterbilt. The double-bunk sleeper design will be a valuable addition for fleets that use team drivers, as well as for companies that pair an inexperienced driver with a trainer, Quinn said. “I think we will continue to see large numbers of team drivers because there’s a lot of freight that has to be moved,” he said. Peterbilt gobbled up 15.3 percent of the market share for Class 8 heavy-duty truck sales and a 20 percent share of the vocational market in 2017. The company forecasts that the sale of Class 8 trucks to be in the range of 235,000 to 265,000 in the U.S. and Canada, which will likely be the third strongest market ever, Quinn said. The medium-duty market will remain steady, forecasting that around 85,000 trucks will be sold in 2018. The company will continue to offer the traditional sleeper option on its Model 579 trucks, Woodall said.